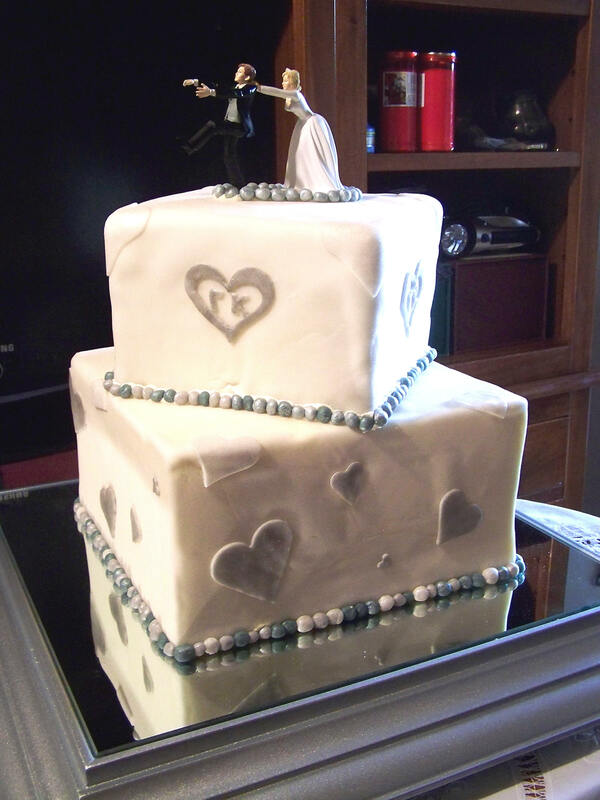 A white and silver wedding cake. Two very tall tiers covered in fondant (which was extremely challenging to do). The bottom tier are 2 dummy cakes glued together and the top tier is half dummy half real, made into one (hope that makes sense). The hearts and pearls are brushed with edible silver and pearl shimmer dust but it isn’t too apparent in the photograph. I had the cake mirror base custom made by a local carpenter. Very nice work. 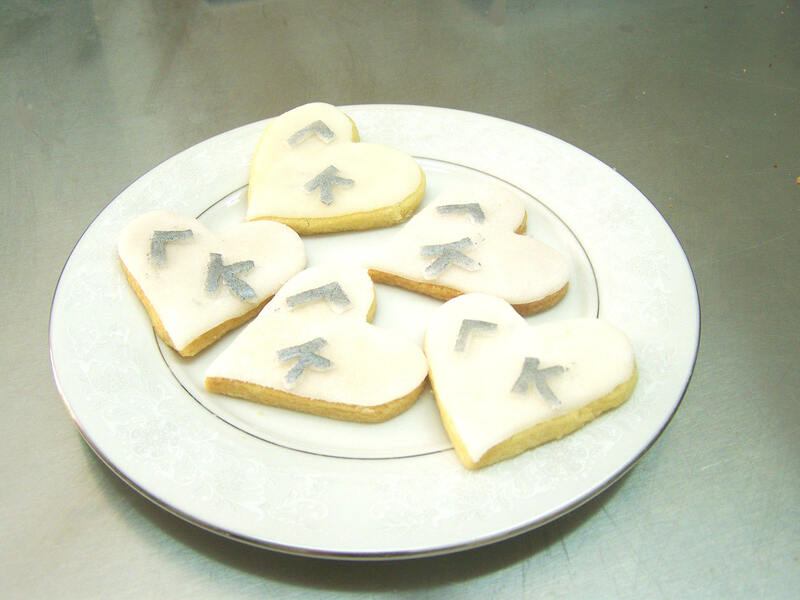 These heart shaped orange blossom butter cookies were made for the reception as well. 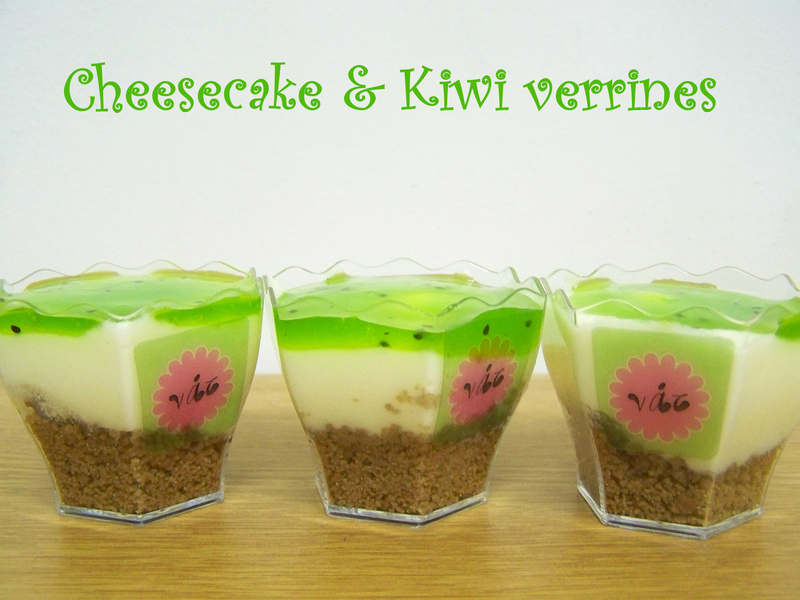 And these cheesecake mousse verrines with kiwi were offered as wedding favors at the church after the ceremony. I made 1000 of them! And once again, a special thanks to Efi who has worked endless nights along with me all week long.